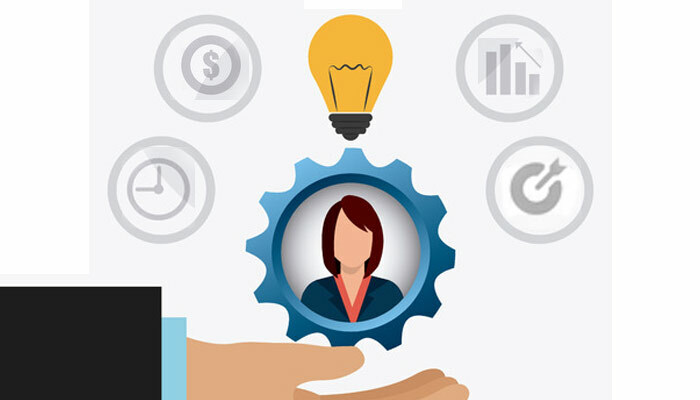 Home » How Do Managers Track Achievements of Employee Performance Goals? » Blog » How Do Managers Track Achievements of Employee Performance Goals? Hitting a target that you can’t see isn’t cool. Did you hear that? To achieve your aim, you need to focus on your goals and objectives! Do managers in your company use goal setting and tracking effectively to ensure organizational and employee performance? I am sure only half of you would answer a ‘Yes’! This post is for you if you answered a No, Read on. MANAGERS – these are the people who play a significant role in motivating and supporting employees and teams to achieve the organizational mission and goals. According to the Gallup’s State of the American Manager report, “At least 70% of the variance in employee engagement scores across business units is attributed to manager involvement. Only 30% of U.S. workers are engaged, demonstrating a clear link between poor managing and a nation of “checked out” employees.” These employees are the ones who are either planning to leave the organization or if they are at their desk, they might not be doing anything anyway. But, what if managers set clearly be defined performance goals for employees and constantly track their progress? Tracking employees’ achievements in their performance goals enables managers to provide insights into employee performance and mentor them for better collaboration on the organizational goals. Why Managers Need to Set Employee Goals and Track their Progress? Managers usually rely only on their memory to assess employee performance and rate them during performance evaluations. A set of clearly defined goals and their achievement status enable managers to have significant benefits. » View goal achievements at any point of time and mentor team members to take remedial actions in a timely manner. » Monitor performance of individual employees and team at each step. » Encourage employees to review their goals and revise them periodically to meet organizational objectives. » Accelerate performance improvements by tracking real-time goal achievements. » Make well-informed decisions in employee appraisals by comparing the assigned smart goals and the achieved goals. » View of employee achievement on employee goals can be tracked by all the stakeholders. If you have understood why managers need to set and track goals, the next thing you need to focus on –What are the best ways to track employee goal achievement? Undoubtedly, a systematic process and automated tool to track performance goals is what managers need. An effective goal setting and tracking software would help managers, employees, and the leadership in multiple ways. Managers can view employee goal achievements & mentor employees who fail to achieve their desired goals. Employees can track their progress on a weekly basis. Automatic reminders can be send to employees asking them to capture their goals achievements. Managers, HR, and the leadership can view achievements with the help of reports and analytics. It allows them to be on top of the game and take corrective actions to improve performance. Managers can identify employees who are unable to achieve assigned goals. Performance appraisal become more meaningful when managers provide feedback on goal achievements regularly. If you want to improve your employee goal setting and tracking process, feel free to contact Empxtrack team and discuss your issues. You will surely receive deeper insights into how Empxtrack goal setting software can benefit your organization and help you build an efficient workforce.